Goodreads: Nine years ago, Molly Tanner witnessed a young girl's abduction in the busy city of Philadelphia, shifting her occasional clairvoyance into overdrive. Two days later, the girl's body was found, and Molly's life fell apart. Consumed by guilt, Molly escaped the torturous reminders in the city, fleeing to the safety of the close-knit rural community of Boyds, Maryland. Molly's life is back on track, her son has begun college, and she and her husband have finally rekindled their relationship. Their fresh start is shattered when a seven-year-old girl disappears from a local park near Molly's home. Unable to turn her back on another child and troubled by memories of the past, Molly sets out to find her, jeopardizing the marriage she'd fought so hard to hold together. While unearthing clues and struggling to decipher her visions, Molly discovers another side of Boyds, where the residents - and the land itself - hold potentially lethal secrets, and exposes another side of her husband, one that threatens to tear them apart. Kritters Thoughts: A gripping novel that will keep you in your seat reading until the whee hours because you MUST find out how it will all unfold. A story of 3 lost girls and the woman who has visions as to their whereabouts and how they ended up stolen from their families. A suspenseful book with just a hint of some paranormal twists. I definitely had a hard time putting this one down when it was beyond my bed time! 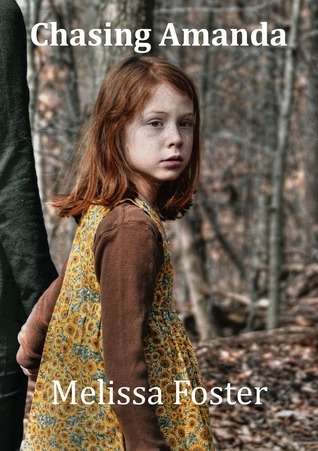 There were a few slow spots that I would have speed up a bit and a lot of searching in the woods for the little girl, but as a whole this book sped along like a train. I think the one thing that I absolutely loved was the description of the characters and places. I could really picture each character and feel their personalities - they became lifelike. The setting - Boyds, MD was unqiue and described with such detail that I felt as though I could picture it right in front of me. A distinct city with a rural setting that allowed for certain events to occur that could never have happened anywhere else. As with every suspense, I rate a book as to how far in advance I find out who dun it or if they are in the story at all. I think I realized the captor at the best moment, because I spent the rest of the book trying to confirm my hunches. A perfect amount of hints were given along the way, but nothing too blatant. A suspenseful book that is definitely worth the grab. A book for both genders and most ages to read whether it be in the middle of summer or curled up in the winter.